In the past year, you’ve probably heard a sermon or read a book about prayer or reading your Bible. You may have attended a small group study to learn how to better reach out to your community or how to improve your marriage. But when was the last time you heard a sermon about worship? When did your Sunday School class study how we’re supposed to worship? If a sampling of one person from each church in your town was brought together in one room, do you think they might have a common definition of worship? 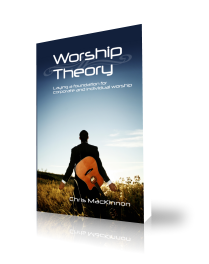 Worship Theory is an encouragement for all Christians to study Scripture, open discussion, and develop worship beyond how we have come to accept it. Examine worship’s importance, its purpose, and its implications on our lives. Find out how the opinions and ideas you already have about worship affect not only your offering before God, but how they relate to your image of God and His working in your life. 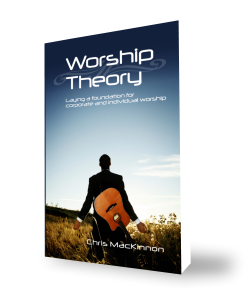 Then learn what it means to incorporate worship in to the whole of your life.